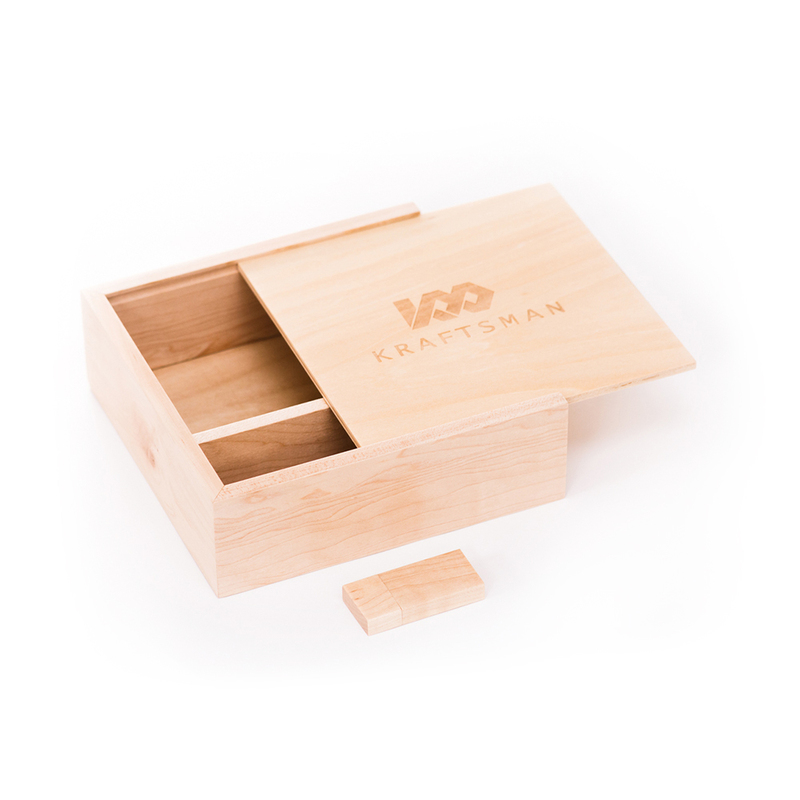 If you want packaging that has integrity. This bundle would be it. Each of them are built for a purpose. 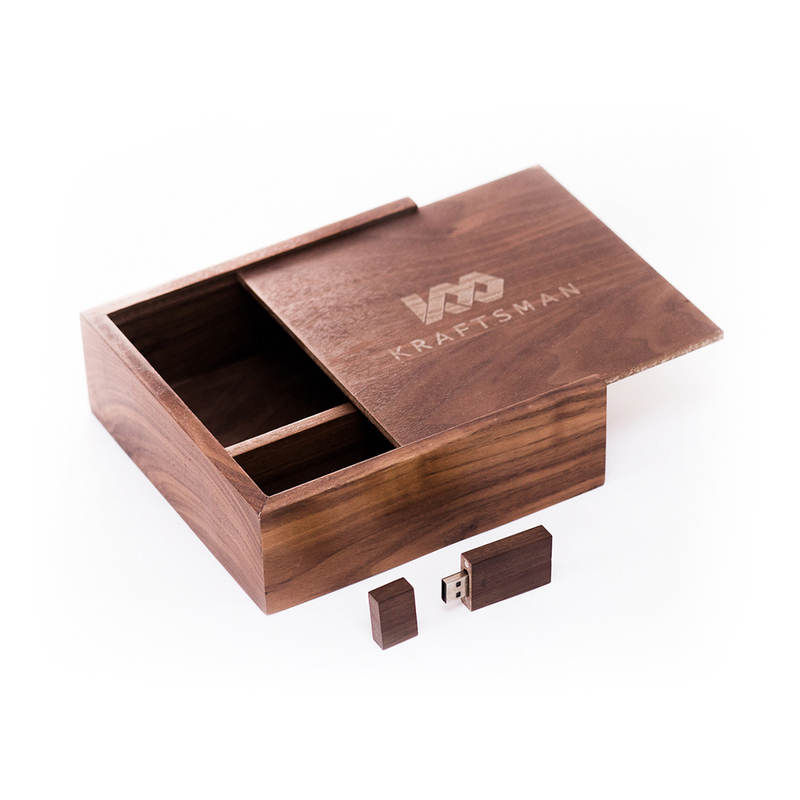 The slide box features separate compartments that perfectly fit the prints and flash drive inside. Your eyes can follow any detail of this bundle and realize that they were meant to be together. As one package. 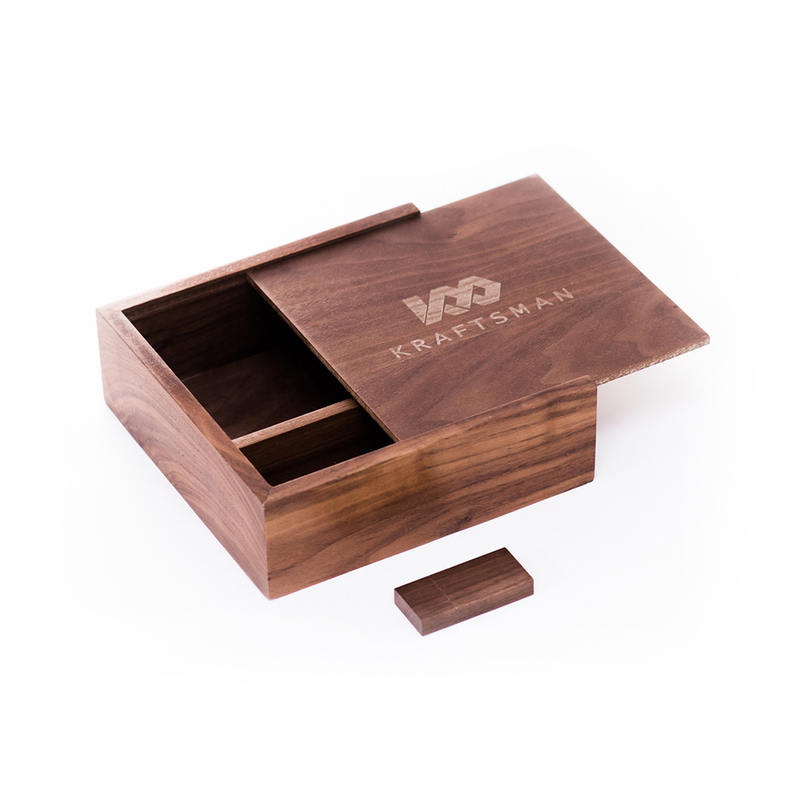 Choose from a choice of maple and walnut, both will have a rich grainy texture likened of premium wood. Size Choose an option7"x 7"8"X 8"
Perfect for placing 4" x 6" prints in a 2" deep internal compartment. 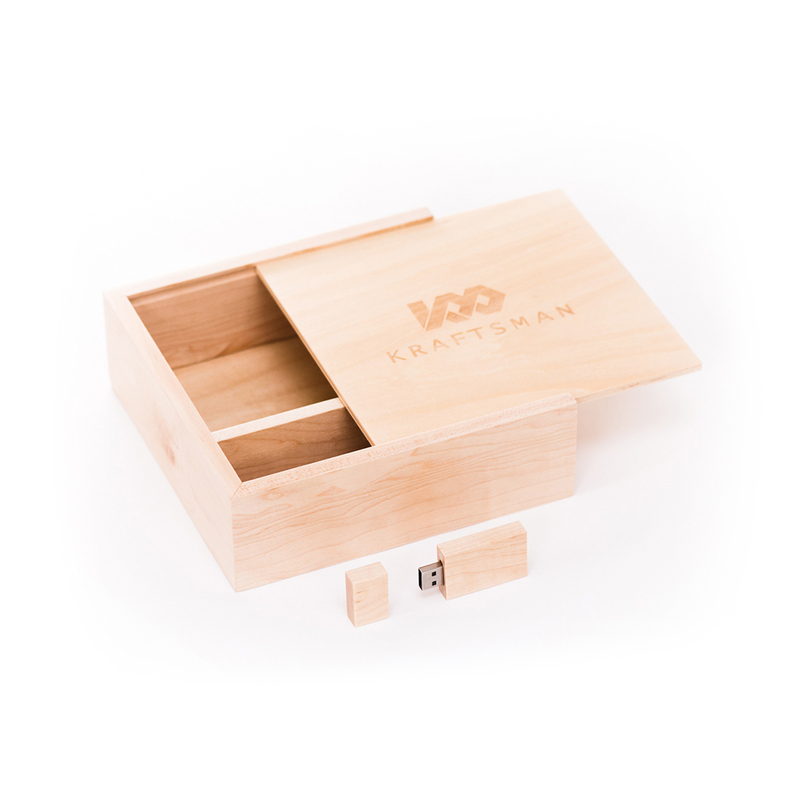 The faux leather giftbox with flash drive bundle is great when you want to pair a digital medium with traditional packaging. With faux leather, you can be sure that your branding speaks louder than words and your presentation, breathless for words. For a clean sophisticated look, this packaging bundle will definitely covey your message in a unique way.